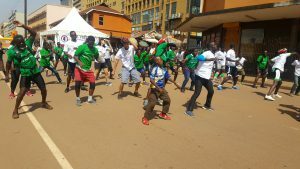 Kampala continues its efforts to become a sustainable, clean and people centred city and has launched non-motorised transport ways in the city as accelerator for Smart Moving Kampala. Safe, convenient, inclusive transport infrastructure will help people move away from cars to healthier modes of transport. Kampala will focus more and more on “Multimodality”. 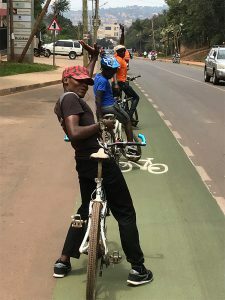 Kampala’s Lord Mayor Erias Lukwago and divisional mayors have supported the construction of cycle and walk ways in the city. Last week we met with the Ambassador of the Republic of Armenia in the Netherlands, Mr. Tigran Balayan, who visited the Dutch Cycling Embassy (DCE). Armenia is really interested in learning from and sharing the Dutch cycling experiences. We presented our approach to sustainable mobility, our strategic tool the MOVE Meter, and how it can help plan a cycling network in Armenia. We are looking forward to new opportunities in beautiful Armenia! In December last Tonny Bosch, together with Imran Hasan Ahmed, held a workshop in Al Najaf city (south of Iraq) about Smart Moving Cities! Sustainable transportation and the mobility problems in the city were the main topics. 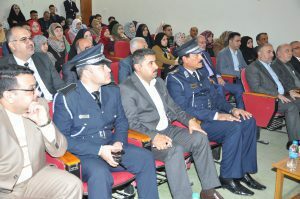 Representatives of the Al Najaf governorate, general directories of several municipalities, the municipality of Al Najaf, general directory of traffic of Al Najaf and Kufa University staff attended the workshop. At the end of the workshop a number of solutions to improve the mobility system were proposed. 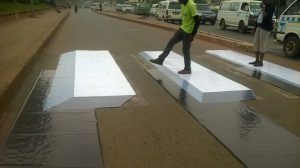 A unique experiment took place in Kampala to support pedestrians, especially school children, in crossing the street safely. 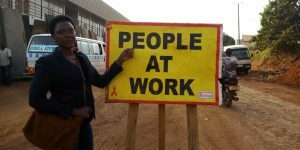 Our representative in Kampala, Amanda Ngabirano, has initiated this pilot together with Makarere University and the University of Cambridge in England. Amanda will supervise the remaining process. 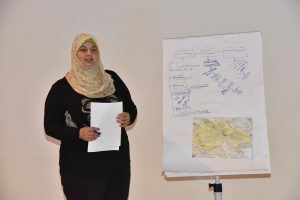 At the beginning of July, as part of the work we are doing together with our partners in Palestine for the project “Transport and Mobility Strategy for the Conurbation of Bethlehem”, Dina Al Araj (transport engineer at CDG) visited us in Deventer. 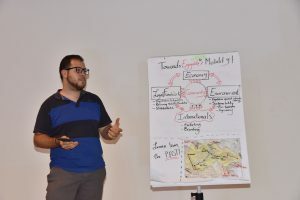 During two intensive weeks, we worked together on gathering as much local knowledge as possible, on understanding how things work in Bethlehem and we shared own experiences. 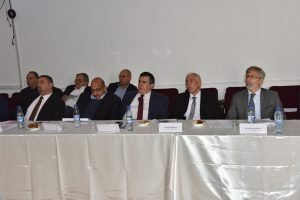 The result was a report on the status quo of the transport system in Bethlehem, that would be presented to the client, the donors and the members of the Steering Committee. The Police Department of the city of Deventer donated Matia Lwanga Bwanika, governor of Wakiso district a Dutch police bike. 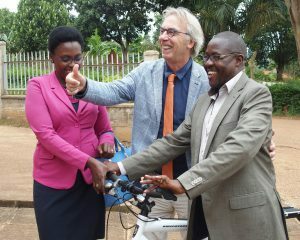 Amanda Ngabirano and Tonny Bosch of MOVE Mobility handed over the bike. The governor is very grateful for this generous gesture. He has the ambition to become role model multi modality for Uganda, starting in Wakiso. Wakiso District is located in the Central Region of Uganda that partly encircles Kampala, Uganda’s capital city. The district headquarters are located in Wakiso Town, approximately 20 kilometres northwest of Kampala on the highway to Hoima. Last week we signed a MoU between the Netherlands, represented by the Ambassador Margriet Leemhuis, and the Oaxaca Government in Mexico. MOVE Mobility with its partners MAP and Deltares, will work together under that agreement in topics of urban development, water and mobility. Additionally, during that week we also organised a workshop together with MAP in order to study the mobility and urban planning in the city and then proposed possible solutions and pilot projects that help the further development of the city. Tonny Bosch was the keynote speaker at the IHK-Verkehrsforum Stop oder Go? Perspectiven für ein mobiles Münsterland. The main question at the congress was how to make the next step in traffic and transportation planning in Münster. Tonny shared experiences of the Dutch mobility system like zoning (A/B/C) in Utrecht, multimodality, MOVE Meter for city planning. And how these examples may help Münster to make the next step in sustainability. MOVE Mobility, Goudappel Coffeng and DAT.Mobility cooperate in the “Excellent Cities” program that was officially launched at VeloCity 2017. Excellent Cities are people-centred, economically vibrant, attractive, sustainable and socially equitable. We believe in the power of mobility planning as a tool in the hand of governments to improve our cities in all these fields. With our program Excellent Cities we provide more than 50 years of experience in urban mobility planning for excellent cities in the Netherlands, one of the most populated countries in the world. We understand all aspects of urban mobility in design, effects and tooling but also in actor-involvement, decision-making and engineering. Of course the topics that were discussed included integrated planning, multimodality, cycling infrastructure and how the city is organised. Five main requirements for cycling: safe, straight, consistent, comfortable and attractive were discussed. Present were planners, engineers, advisors, councillors from the City Hall and representatives from NGO’s. The conclusion is that together we can let Bucharest become a “Cycling City”. Recommendations for the way forward on the short term were made. 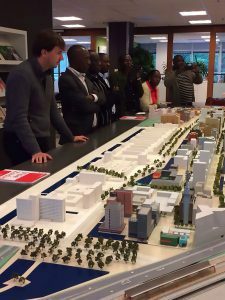 At the invitation of RVO and the Dutch Embassy in Kampala, a delegation of the Kampala Capital City Authority (KCCA) and the Uganda Local Governments Association (ULGA) visited The Netherlands. The purpose of the study trip was to contribute to the inclusive urban development in Kampala district and to strengthen cooperation between The Netherlands and Uganda in the field of urban development. MOVE Mobility and DASUDA organised the program. Topics were waste to energy, urban agriculture, mobility and NMT (non-motorised transport), and upgrading of city markets. The Knowledge Transfer Program ‘Smart Moving Cities’ has been set up by our company in order to support mutual learning from best practices and increase international cooperation in the mobility field. Making cities better, safer, attractive and more livable – that is the main goal of this program. One of the key points is to increase institutional capacity for creating smart cities and to teach people from various institutions how to efficiently work together. Under the guidance of experts from MOVE Mobility the participants attend a program that shows them in practice and in discussions with designers, engineers and stakeholders how to create a better city to live in, especially from a mobility and transport point of view. Participants can acquire knowledge about inter- and multimodality, the governance and financing of transport related projects, road design, traffic management, tender processes. They visit several cities in the Netherlands to see some of these elements in practice. 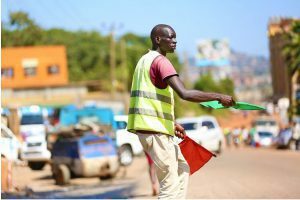 As part of the mobility strategy for Kampala, Kampala Capital City Authority (KCCA) has requested for design and consultancy services for the design of a Traffic Control Centre (TCC) Building located at the proposed site next to City Hall, Kampala, Uganda. Together with KCCA, DASUDA and MAPtm we organised a two day workshop to discuss, analyse and define the strategic, tactical and operational role the Mobility Centre could and should play in the road map towards a Smart Moving Kampala. Kajjansi is a town in Wakiso District and nowadays integrated into the greater Kampala Metropolitan area. The Kajjansi area was always known for its market along the main connecting road from Kampala to Entebbe. Uganda’s rapid development (connection Airport Entebbe – capital Kampala) puts pressure on this area. 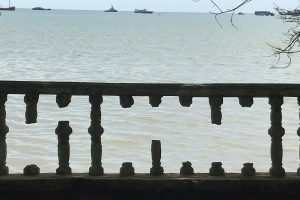 Nowadays there is a lack of good quality housing, clean water, sanitation, reliable power supply, waste management, and adequate infrastructure for all modes. 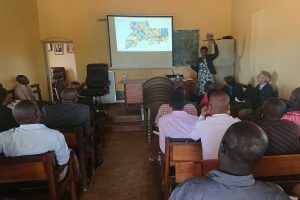 Field visits were undertaken and variety of stakeholder meetings took place focusing on spatial, mobility and inclusive business qualities, constraints and opportunities. In total over 30 organisations have actively contributed to the three development scenarios described in the Kajjansi Junction Report. 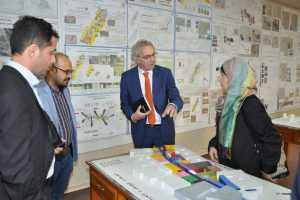 The project is considered as a first step in a timeline that enables a phased operationalisation of an integrated spatial development strategy (Masterplan). Kampala is the capital of Uganda and has a population of 1.2 million. During the day, this number increases to 2.2 million due to the influx of 1 million commuters. Congestion, chaos and air pollution are at very high levels. In co-operation with various organisations, city authorities, Goudappel Coffeng and the Iganga Foundation, we have been working for some years now to get the traffic organised and resolve many of the problems in the process. An example is the Kampala City Centre Pilot Project, which introduces sustainable urban transport. UNEP (the United Nations Environment Program) has been part of the project team from the start. MOVE Mobility, together with its partners finished the detailed design. In co-operation with various organisations, city authorities and other partners, we worked to get the traffic organised, gave recommendations and resolved many of the problems in the planning process and transport-related policies. 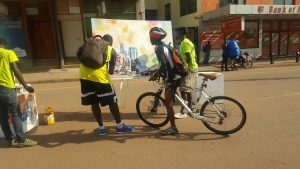 Kampala City Centre Pilot Project introduces sustainable urban transport. The detailed design was finalised. The Urban Accelerator approach was used to make a pro-active steering tool for decision makers to create tangible measures leading to actual improvements in the urban domain. Measures that might have a ripple effect on their direct surroundings, would be defined as priorities. The scenarios were modelled with the MOVE Meter, putting emphasis on mobility and the opportunities for modal shift, potential measures for car, public transport and non-motorised transport network in and around Cape Town. Morelos State in cooperation with the Federal Government and several civil and environmental organisations started the first ECOZONA, which is intended to transform the historic centre of Cuernavaca. The aim is to stop the un-organised growth and urban sprawl towards the hills and valleys, therefore preventing further environmental damages, such as the deforestation, water and air pollution. Based on these goals, the Morelos Government contracted MOVE Mobility to consult on the solutions for an accessible and sustainable city centre. The objective of this workshop was to assist and advice the City of Cuernavaca and their planners. 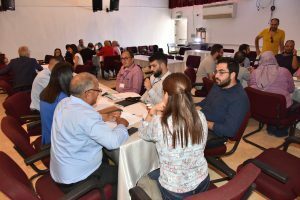 MOVE Mobility worked with different stakeholders: the municipality, architects and civil society representatives from the region. The workshop focused on the envisioning of a strategic network for Cuernavaca, from the Metropolitan area to the Historical Centre scale. 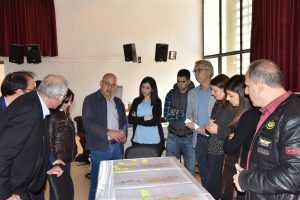 As a result of the workshop, MOVE Mobility continued working on the reorganisation of the public transport, car and bike flows in the surrounding of the ECOZONA. In order to achieve the main goals of the ECOZONA, the Municipality of Morelos developed a mobility strategy which included different proposals for changing its transport system towards a more sustainable one. 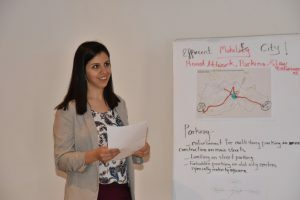 For this project, MOVE Mobility was responsible for evaluating the different proposals in the MOVE Meter and for studying the impacts of these ideas on the rest of the traffic in the ECOZONA and Cuernavaca. Among the scenarios evaluated were the pedestrianisation of the current city centre, the implementation of circular routes in the area and the effects of the BRT system in the city and its surrounding towns. 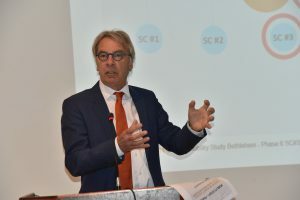 The results were presented in a final workshop. The assignment is part of the project “Green Cities: Integrated Sustainable Urban Transport for the City of Batumi and the Achara Region” ISTBAR. The project is funded by the Global Environmental Facility and implemented by UNDP. to improve the quality and sustainability of urban transport (including all modes of urban transport) and road traffic safety in Georgian cities. The results of the project would help Georgian cities to move towards achieving their Covenant of Mayors (CoM) commitment to reduce emissions with 20% by the year 2020, compared with the business-as-usual (BAU) scenario, by providing local and national authorities the tools that can be used to shift current practices towards sustainable actions in the urban transport sector. The proposals have been developed based on stakeholders input, but also based on experiences of European countries and cities that have proved to be most successful in addressing the challenges of urban transport, adapting the lessons to Georgian reality. 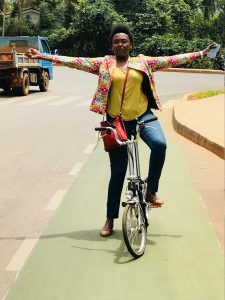 Cities around the world are making efforts to offer their citizens more sustainable transportation options, including bicycling. The Netherlands is the world leader in cycling. Here cities have managed to include safe bicycling in modern transportation systems. It is a living lab and a source of inspiration. In 2015, the Netherlands started to support the Cycling Fellow Program for US Cities. The Dutch Cycling Embassy in cooperation with the Dutch Embassy in the US carried out this initiative. 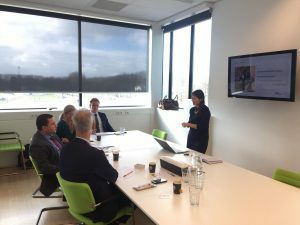 The objective was to facilitate an exchange between Dutch experts and their US counterparts, starting in four cities (Denver, Memphis, Indianapolis and Pittsburgh). The Cycling Fellows for Memphis were Kyle Wagenschutz (Memphis, now People for Bikes) and Tonny Bosch (MOVE Mobility). The program ran for more than six months; visiting the Netherlands and Memphis was part of it. Memphis has a lot to do to become a ‘cycling city’. After a good start in recent years the fellows designated a new planning approach for Memphis. The final map shows seven projects (so called ’Jewels’). The idea is that these jewels will lift the whole urban area to a higher cycling level. And this is not only about infrastructure and vehicles; organisation and communication/promotion is a big part of it.